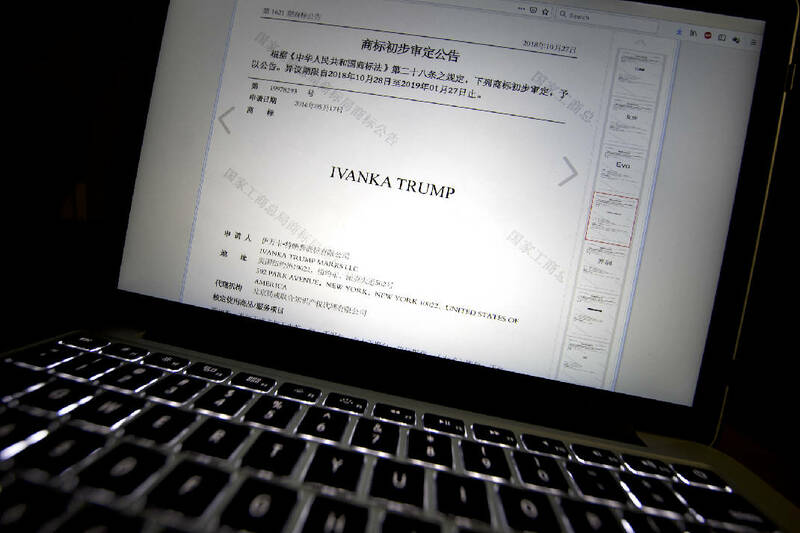 The Chinese government granted 18 trademarks to companies linked to U.S. President Donald Trump and his daughter Ivanka Trump over the last two months, Chinese public records show, raising concerns about conflicts of interest in the White House on the eve of national elections. 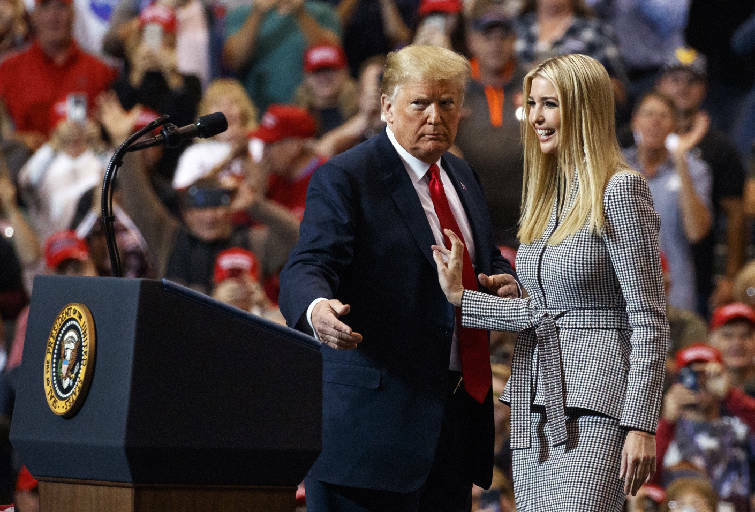 In October, China's Trademark Office granted provisional approval for 16 trademarks to Ivanka Trump Marks LLC, bringing to 34 the total number of marks China has greenlighted this year, according to the office's online database. The new approvals cover Ivanka-branded fashion gear including sunglasses, handbags, shoes and jewelry, as well as beauty services and voting machines. China also granted provisional approval for two "Trump" trademarks to DTTM Operations LLC, headquartered at Trump Tower on Fifth Avenue in New York. They cover branded restaurant, bar and hotel services, as well as clothing and shoes. There has also been concern that the Trump family's global intellectual property portfolio lays the groundwork for the president and his daughter, who serves as a White House adviser, to profit from their global brands as soon as they leave office. "Ivanka receives preliminary approval for these new Chinese trademarks while her father continues to wage a trade war with China. Since she has retained her foreign trademarks, the public will continue to have to ask whether President Trump has made foreign policy decisions in the interest of his and his family's businesses," wrote Citizens for Responsibility and Ethics in Washington, a government watchdog group that first published the news about Ivanka Trump brand's new Chinese trademarks. Companies register trademarks for a variety of reasons. They can be a sign of corporate ambition, but many companies also file defensively, particularly in China, where trademark squatting is rampant. Trademarks are classified by category and may include items that a brand does not intend to market. Some trademark lawyers also advise clients to register trademarks for merchandise made in China, even if it's not sold there.